On Christmas Eve we received a rather secret delivery, not from Father Christmas, but from a courier with a very exciting box. It contained some top secret toys from Character Options that we're going to be telling you about very soon. 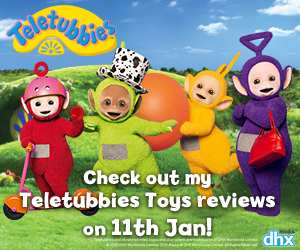 Do you remember the Teletubbies? They were huge in the 90s when my little cousin was a big fan. I still remember panicked parrents trying to secure the toys as Christmas approached and they were that year's must have. LM and Bud were introduced to the old version of the show a while ago, via Netflix and YouTube and LM was delighted to see them reappear on cBeebies in 2015. 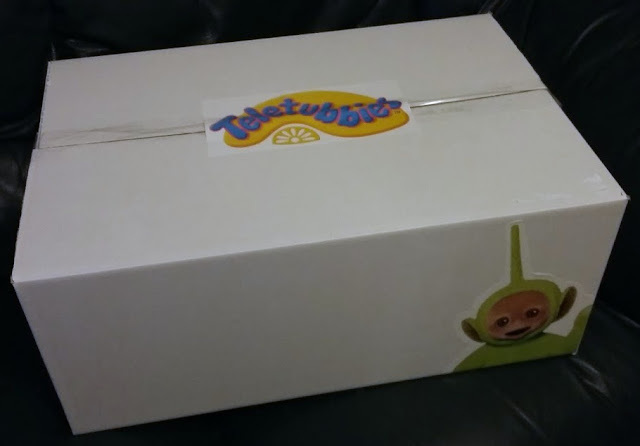 Next Monday (11th January) I'm going to be unveiling the contents of this very exciting parcel and showing the brand new Teletubbies range of toys to you. We're very excited. Check back then to see what we think! Have you been watching the new series? Who is your favourite character?